Are you prepared to be among our next generation of leaders? No matter where your hang your pharmacy license or how you use it in practice—pharmacy needs leaders and advocates for the profession! Choose to be that LEADer! Be one of our first leadership program graduates! 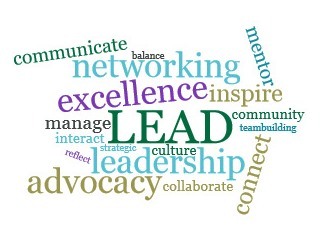 LEAD is a year-round experience starting in September 2016 through June 2017, building your leadership skills, fostering connections, creating work-life balance, and building your professional network. You will learn life leadership lessons that translate to leading in many different situations. A small and select group of participants will participate in thought-provoking discussions, idea sharing, and learning sessions all designed to help you become a strong LEADer in your workplace, community, and for pharmacy! and more! Throughout the program you will interact with established leaders in Pennsylvania pharmacy and assess how you will make your mark! The LEAD program will offer an experience beyond compare. Your group will develop a synergy of energy and enthusiasm to match your passion for pharmacy and patient care! This program will help you leave your mark and make a difference for pharmacy and your community, wherever your career may take you. The LEAD program will have monthly modules on the specific topics. Modules will include short recorded webinars for you to access at your leisure, monthly calls and discussions with the Program Leaders and other participants, interaction with other individuals, and specific small action steps to reinforce your learning objectives. Additionally, there will be three face-to-face meetings with the group, one at the PPA Annual Meeting in the fall of 2016, one at the PPA Mid Year in 2017, and one at the PPA office in Harrisburg in June. Learn more about LEAD and how you can be part of our first graduate group! Click on any of the various links below. Apply Now! Click here for the application. Learn more about the LEAD program and why you may want to sponsor, partly sponsor, and encourage participation in this program by your pharmacists or faculty. Click here for employer specific information. Please email the completed application and all attachments to: ppa@papharmacists.com with LEAD Application in the subject line. Within 72 hours of sending this email, you should receive a confirmation of receipt. If you do not receive a confirmation, please contact Pat Epple at the PPA office at 717-234-6151, ext. 106. A panel of three judges will evaluate all received applications in mid to late summer and will request a short telephone interview with you. You will receive information concerning this as soon as possible but most likely in early August. Candidate will be notified of acceptance on or before September 1, 2016. The tuition for the program is $750 which includes all related fees for all programming and covers the two conference registrations. Once a candidate is accepted, the enrollment fee of $750 will be payable on or before September 1, 2016. Alternatively a payment plan of $250 per quarter (payable 9/16; 12/16; and 3/17) or $75 for 10 months (Sept – May), may also be selected and the option to indicate this preference is on the application. Applicants may individually find a sponsor and/or have their company cover all or part of your tuition. PPA has materials available to help with this promotion. Click here. LEAD is presented by the Pennsylvania Pharmacists Association and the PPA Educational Foundation.